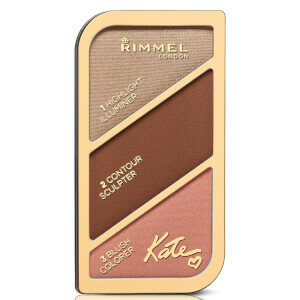 Sculpt and define your face with Rimmel's Kate Sculpting Highlighter Palette, a three colour compact with highlighter, contour powder and blush, designed by world-renowned supermodel Kate Moss. 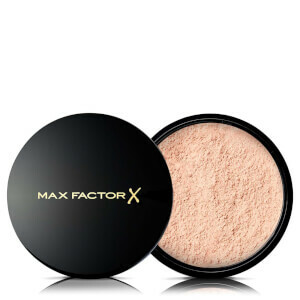 Working to lend you chiselled features, the pressed powder formulations blend seamlessly on skin to create a professional, radiant makeup look. Use the contour shade to sculpt and define the cheekbone hollows, jaw line and forehead, the highlighter shade to illuminate high points on the face, and the blush to add a pop of colour to the apples and cheekbones. The long-lasting shades will leave your features looking sculpted and perfected. Já sou utilizadora dos produtos Rimmel á algum tempo e esta palete para delinear o rosto é uma excelente alternativa low cost, muito boa qualidade sem tons exagerados que se fundem com a pele!